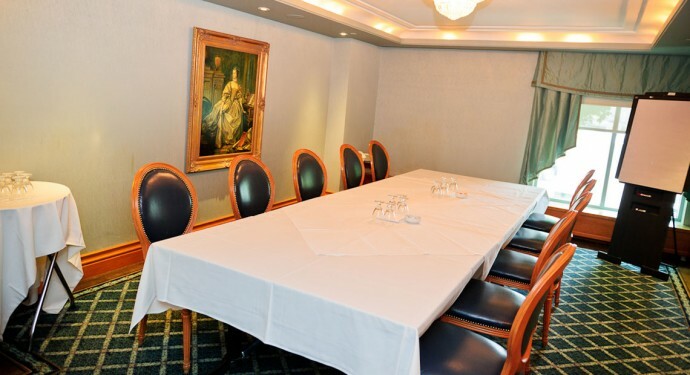 Ideal for smaller groups, and just steps from the Port Credit Ballroom, the River Room is an additional meeting space for groups of 12 or less. Along with the other meeting spaces available on-site for larger groups and breakout sessions, the River Room is another reason The Waterside Inn offers an ideal conference venue Toronto, Mississauga and other GTA businesses and meeting-planners have come to appreciate. The River Room offers boardroom seating for up to 12 persons with natural lighting and original artwork. 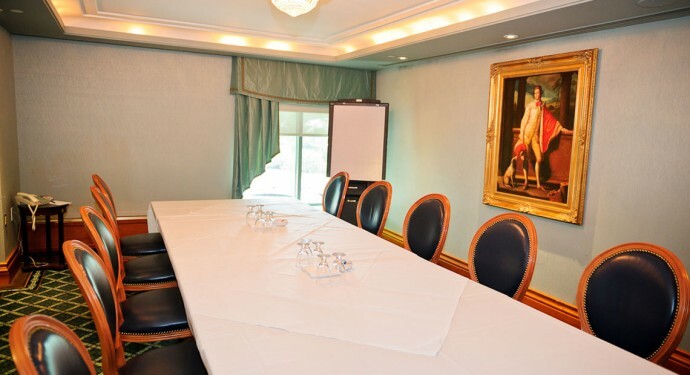 Well-appointed with comfortable seating, the River Room can accommodate 12 people in a boardroom set-up. It offers a private escape for smaller sessions, and can be fully catered. State-of-the-art audio-visual equipment is available for speaker support.